Alloy Metals and Tubes International is your partner for Inconel® 625 tubing. With a large and diverse inventory of alloys and sizes, let us be your source for your hydraulic and instrumentation tubing needs. Inconel® Alloy 625 (UNS N06625.W.Nr. 2.4856) is an austenitic nickel base superalloy known for its high strength at elevated temperatures, outstanding fabricability and excellent resistance to oxidation and corrosion over an extensive range of corrosive conditions. These properties allow Inconel® Alloy 625 tubing to be used in a wide spectrum of applications. Excelling in seawater applications such as mooring cables, offshore oil equipment or sheathing for undersea cables, Inconel® Alloy 625 tubing shows freedom from local attack (pitting and crevice corrosion), high corrosion-fatigue strength, high tensile strength and resistance to chloride-ion stress-corrosion cracking. 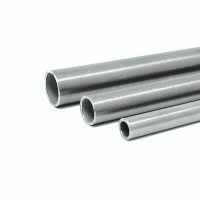 The aerospace industry embraces Inconel® Alloy 625 tubing for its high tensile, creep, and rupture strength, fatigue and thermal-fatigue strength, oxidation resistance and excellent weldability, making it a useful material for engine exhaust systems, fuel and hydraulic line tubing, and heat exchanger tubing. Corrosion resistance, specifically under a wide range of temperatures and pressures, makes Inconel® Alloy 625 tubing desirable to the chemical processing industry for use in thin-walled vessels or tubing, heat exchangers, transfer piping and valves. These same corrosion resistant and high strength properties appeal to the nuclear field and allow Inconel® Alloy 625 tubing to be considered in advanced reactor concepts. 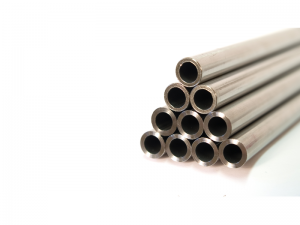 Alloy Metals and Tubes International, stocking and supplying Inconel® Alloy 625 Tubing to meet the diverse needs of customers in varied markets and applications, seeks to be your preferred quality supplier of Inconel® Alloy 625 Tubing. Contact us, or send us a request for a quote today.